For many Mummies and Daddies, last week contained a certain amount on anxiety. We were of course all awaiting the very important news about where out little ones would be spending the next several very important years of their lives being educated. We had submitted our list before Christmas with a local outstanding Catholic school at the top and a variety of other schools trailing below in descending order of satisfaction for one reason or another. 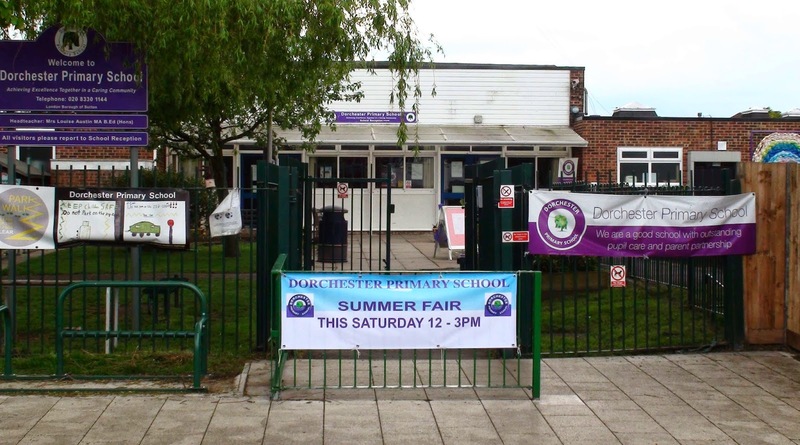 It didn't turn out too badly; we ended up with Dorchester Primary which was actually our second choice and not one I am unhappy with. 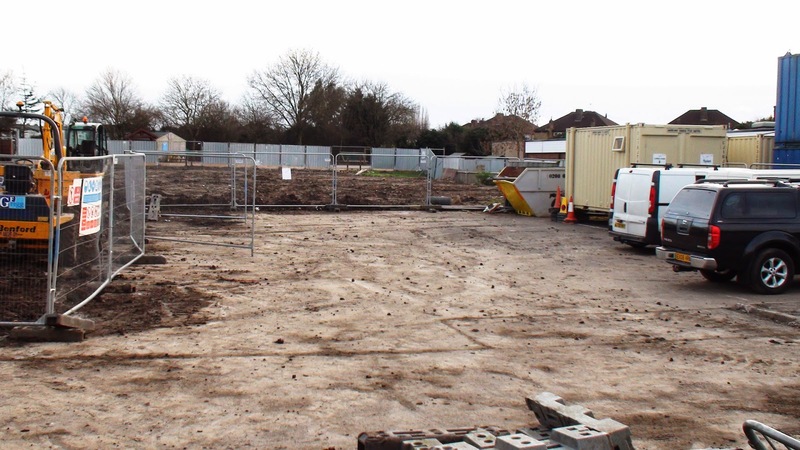 Dorchester is one of those selected for expansion and this September will be welcoming 90 new young children (including WP Junior) instead of 60, to what is now mostly a construction site and a bunch of portacabins. That's not to say work isn't progressing quickly. 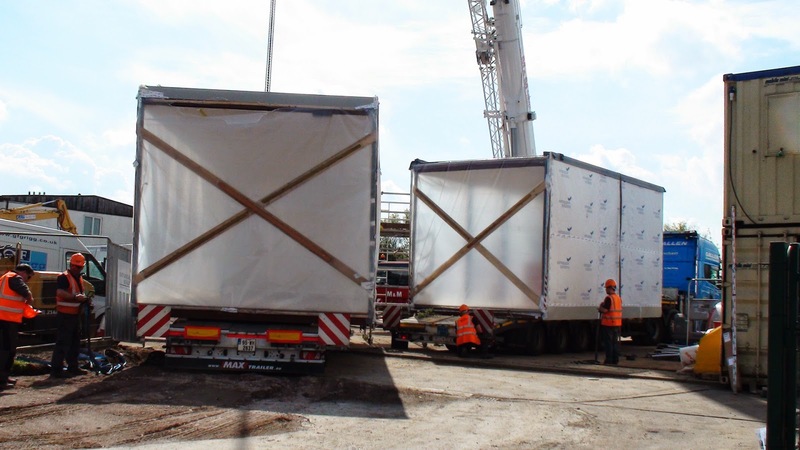 Ten large precontructed sections arrived on Wednesday, having snaked their way up Clarkes Avenue behind a man walking ahead of the ultra wide loads. (Local residents apparently received prior warning of the event). Ten more arrived yesterday (Friday) with a further ten scheduled for Monday. This (plus two more I believe) will make up the ground floor of the new building. Another 30 sections are due to go on top as a second floor and it should all be put together within a few weeks apparently. (That's just the basic floor, wall and ceiling etc. All the wiring, piping etc. comes next.) They seem to be so desperate to meet the deadline that they have even been working Sundays, much to the consternation of local residents in Dorchester Road and nearby. Hopefully come September there will be some semblance of a main school building for WP Junior to start his school life in. 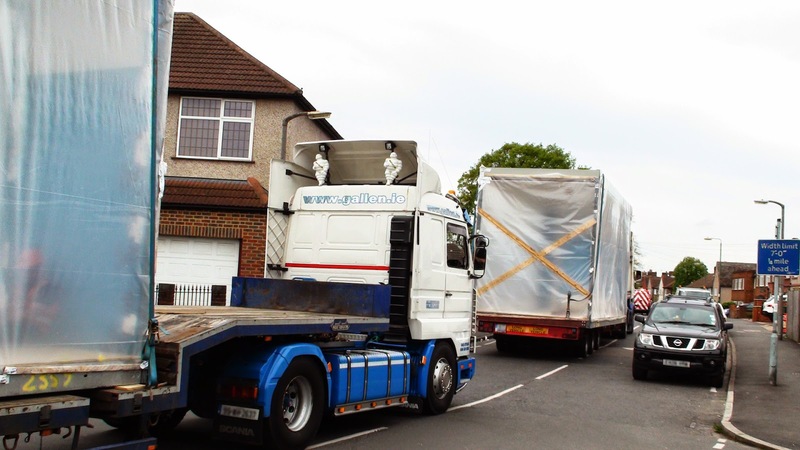 That's not to say I'm against portacabins - the current students seem to be coping with them and I spent a short spell of my school life in them (a couple of years ago now...). The buildings being replaced were only supposed to be temporary anyway, but were left as they were for decades - so work has certainly needed to be done. Of course another concern is the loss of Louise Austin to cancer earlier this year. She was a very great asset to the school and will be missed and undoubtedly some things will change now that she is no longer around. We had assumed she would still be in charge when WP Junior started and I am sorry that his time there will not have overlapped with hers. I haven't yet met Deborah Damestani, the new acting head teacher. No doubt I will soon. Most importantly I hope that she and whoever becomes permanent headteacher continue to steer the school in the direction of outstanding. Perhaps (and hopefully) some nice new school buildings might help in this regard.